Friday, February 17, 2017 (Norfolk, VA): Dominion Marine Media (DMM), the leading global classifieds marketplace and marketing software solutions provider to marine brokers and dealers, today announced that it will change its company name to Boats Group. The name change reflects the company’s market-leading brands and marks a new chapter in the company’s future as they focus on investing in innovations that bring the boating industry to the forefront of modern business. Boats Group will continue to build on the company’s seven year legacy of operating the world’s largest and most popular recreational marine digital marketplaces: Boat Trader, YachtWorld, boats.com, and CosasDeBarcos, as well as their newly acquired platform, YachtCloser, the yacht brokerage industry’s leading web-based contract management solution. The announcement also follows the recent appointment of Sam Fulton as the company’s CEO. Prior to joining Boats Group, Fulton served as an SVP of Groupon and as President of Orbitz.com and SVP of U.S. Consumer Travel at Orbitz Worldwide. 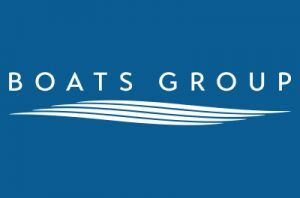 Along with the name change, the company adopted a new corporate identity, including a new logo and visual identity, and a refreshed website that can be found at www.boatsgroup.com. The changes are effective immediately and will be implemented across the company’s product and services. Operating the world’s largest and most popular recreational marine brands – Boat Trader, YachtWorld, boats.com, CosasDeBarcos and YachtCloser – Boats Group attracts over 65 million unique visitors annually to more than 300,000 unique boat and yacht listings. Boats Group’s digital solutions serve over 5,000 dealers and brokers in more than 143 countries, enabling them to effectively reach in-market consumers, increase dealer and broker inventory turnover, and improve their overall profitability. The announcement follows Boat Group’s recent acquisition by Funds advised by Apax Partners. Terms of the transaction were not disclosed. Boat Trader, America’s largest boating marketplace with 130,000 boats for sale, helps boat dealers, brokers and private party sellers move more boats than any other resource in the United States. YachtWorld, the world’s largest network for brokers and buyers of luxury yachts across 140 countries, boasts the leading broker MLS with over 60,000 boats available for co-brokerage worldwide. boats.com, the world’s largest online publisher of marine content with 30,000 expert articles, boat reviews and videos, offers the largest global search engine with more than 250,000 boats for sale in 146 countries. CosasDeBarcos, the leading portal in Spain for the buying and selling of boats, renting of boats, mooring and accessories. YachtCloser, the yacht brokerage industry’s leading web-based contract management solution.